Despite a lackluster offensive performance, no. 4 women’s basketball defeated Virginia 51-39 Feb. 22. The Cardinals moved to 28-2 after the victory and stood poised to capture their first ever ACC regular season title. Louisville scored 27 points off turnovers by playing hard defense. This allowed them to overcome their offensive lapses. Junior Asia Durr led the team with 13 points and seven rebounds. Sophomore Jazmine Jones added 10 points. In their final game of the season on senior day, the Cards defeated Pittsburgh 81-49 to clinch the title. U of L recognized their lone senior in Myisha-Hines Allen prior to the game. On the court, she recorded her 43rd career double-double, going for 18 points and 16 rebounds. In addition, the Atlanta Tipoff Club announced last week head coach Jeff Walz is in the running for the 2018 Werner Ladder Naismith Women’s College Coach of the year award. Walz has guided to the Cardinals through a historic season for a terrific record. Women’s lacrosse improved to a 4-1 record last week after defeating Butler and Coastal Carolina. The Cardinals first traveled to Indianapolis for a match-up with the Bulldogs Feb. 22. Alex McNicholas and Caroline Blalock finished with four goals each, and the defense pitched a second-half shutout as the Cardinals rolled for a 20-4 victory. 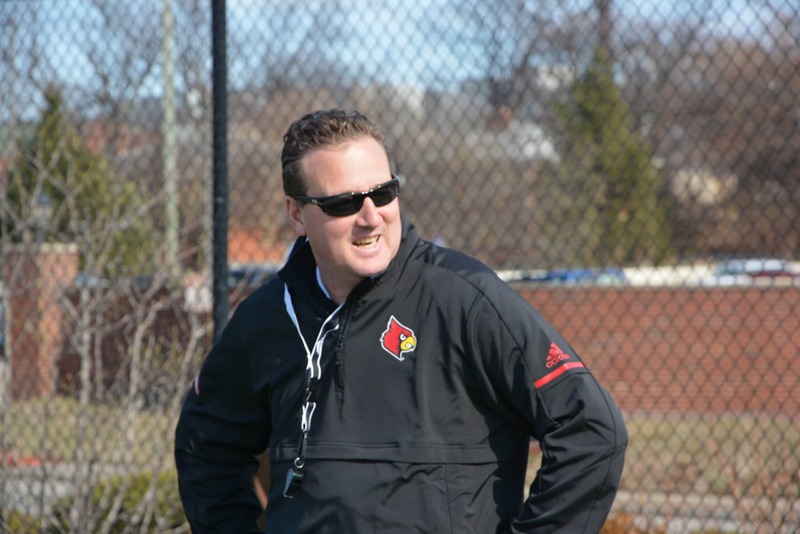 Facing Coastal Carolina Feb. 24, Louisville recorded three hat tricks in a 16-7 win. The Cardinals scored five goals in the first 15 minutes, with eight different players overall finding the back of the net. In the D9 Citrus Classic I in Orlando, Florida, the softball team won three of four games to improve their record to 9-4. The Cardinals opened the weekend with a 14-1 demolition of Lehigh on Feb. 23. Immediately following their victory, the Cards fell 5-3 to No. 24 South Carolina. Sophomore Caitlin Ferguson led the offense on the day, hitting 5-for-6 overall with four RBIs. Louisville picked up two more wins Feb. 24 as they defeated both Morgan State and South Alabama. Freshman Danielle Watson picked up both wins on the mound, striking out nine and allowing only one earned run.